Thanks again Fiona, for being able to express my frustrations with our current political situation so eloquently. 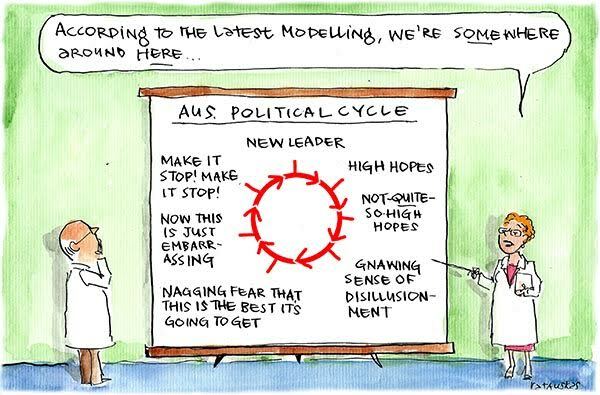 All too true Fiona and the cycle seems to be speeding up. Rudd and Gillard each lasted around three years, Abbott barely reached two years, Turnbull hasn't had six months yet. Maybe our expectations are the problem?